Sherrie leads the Wings Seminars program as well as serving as its main seminar facilitator. 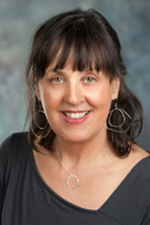 She is a certified master practitioner of neuro-linguistic programming, or NLP, a communication approach, and has more than 1,500 hours of facilitation training. Sherrie has had a long affiliation with Wings, serving as a facilitator since 2008. David Larson is a physician, author, and speaker who has been working in the field of human potential for more than 15 years. After graduating from Brown University, Dave spent a year in Spain on a Fulbright Fellowship and then went on to work in rural India on a grassroots public health program. He attended the School of Medicine at the University of Southern California and graduated with highest distinction, earning the Alpha Omega Alpha merit scholarship. His postgraduate medical training included two residencies in family medicine and psychiatry, as well as a fellowship in integrative and holistic medicine. 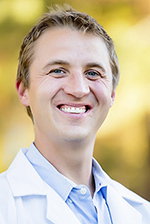 He is an integrative direct primary care physician at LifeWellness Institute in San Diego, focusing on comprehensive lifestyle assessments and precision wellness. He enjoys spending time with his wife, Janna, and son, Eli, and their animal family in Encinitas, California. Dave Roast is a personal growth and organizational development consultant who lives and works in Seattle. He is a longtime Wings volunteer who completed our first facilitator training program in 2017. 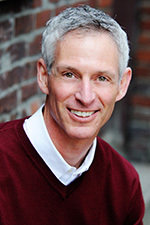 Dave is the owner and principle of David Roast Consulting LLC, a Seattle-based company providing leadership consulting, team development, and facilitation services since 1996. He has advanced training in executive coaching, management, facilitation, communication, team dynamics, emotional intelligence, neuro-linguistic programming, experiential education, mediation, and career development. He lives in Seattle with his wife, Kim, and daughter, Kaia, and enjoys swimming, biking, volleyball, skiing, cooking, hiking, and working with people who share his passion for laughter, personal growth, giving life to dreams, and creating vibrant, healthy, and diverse communities.